As I said in my last post, this blog isn't going to turn into 100% pregnancy writing- but it will be a common theme for a while. Seeing as, I'm cooking a kiddo for a few more months and it naturally will have a big effect on my daily life, not just my running. Pregnancy has not been all sunshine and roses, even if you wanted/planned this it doesn't mean it still won't be hard. I think that is a common misconception I have seen before. A woman who gets pregnant and was trying and really wants a kid, gets shamed if she says anything other than she is just SO excited. Let me get this out there now that I don't agree with that at all. Moving on though, I wanted to wrap up my first trimester (we're 15 weeks today so already chugging along in the second). I tried to cover most bases, being open but also honest. Nausea, fatigue- the common stuff. 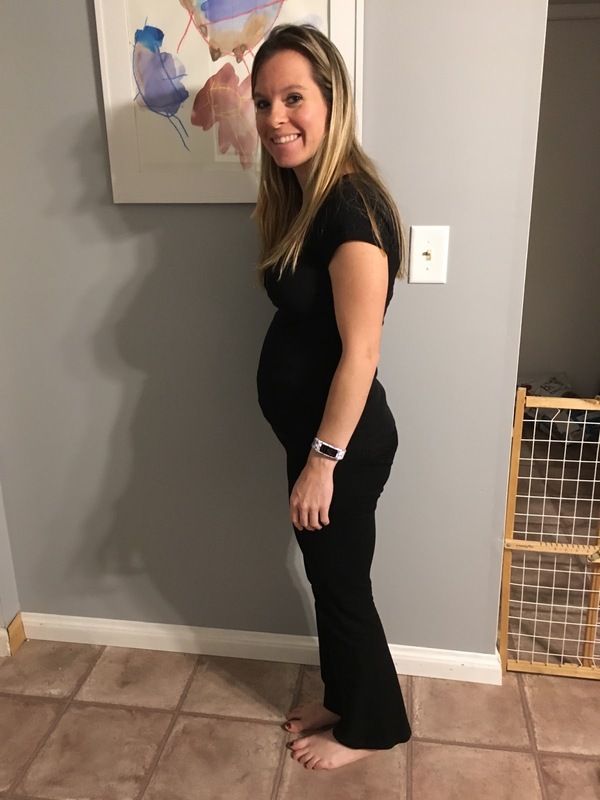 While many runners compare pregnancy to marathon training (there really are a lot of parallels) I have to say that the fatigue of pregnancy (for ME) is tougher because you cannot catch up on it. If I have a few bad nights of sleep during training + all the work, I know that if I get a few solid weekend nights I'm as good as new for the most part. These days, it doesn't matter if I get 5 or 10 hours of sleep a night, by the time bedtime (or couch time) rolls around the next day I'm toast. That isn't even including the multiple times I actually almost fell asleep in my lunch at work. Besides that, some random symptoms have popped up; pregnancy induced bleeding gums (it's a thing, it's dumb and apparently nothing I can do about it), newly developed Gastric reflux (it's gross but manageable), nothing too crazy though. The vivid dreams have been CRAZY and most mornings I wake up wondering what was real and what wasn't. It's amazing to me what hormones do to your body. Should probably add in baby brain/pregnancy brain/momnesia started to kick in early. Some days I feel straight up dumb and forgetful! This makes my nerdy compulsion for spreadsheets, to-do lists, and post-it notes even more important. We've laughed at it for the most part though! The first 8 weeks I didn't gain anything. Between 8-10 weeks I gained 4 pounds though, and held that through the end of the trimester. I outgrew a lot of my normal pants pretty quick, which I expected. When a lot of your clothes were bought during marathon training a small change in waistline will be felt quicker! I don't know why people put off wearing maternity clothes though, they're pretty dang comfortable. But I also admit, the whole getting bigger and changing clothes thing hasn't affected me as much mentally as I thought it would. I'm sure that will change at some point, but for now I'm fascinated and excited about the expanding belly and am thoroughly comfortable in stretchy waist pants and ruched tops. I have an awesome sister who gave me a TON of maternity clothes so I feel like I have an entire new wardrobe which I won't complain about. I also bought a few more basics to get me started; Old Navy & Target have been awesome for those. So has this Belly Band combined with the rubber band trick. I think this was 12 weeks. Most of that happened overnight! As for running, since my gear is obviously mostly spandex things still fit for the most part. I have found the best running clothes right now are those with wider waistbands, it's simply more comfortable. (Pinnacle Shorts, Scoot Capri have been my go-to's). My go to sports bra has been the Rock-It Bra Top because it's not a set band/cup size (they size them S,M, L instead of 34B etc.) so there is a bit more wiggle room as I uhhhh grow. I went through spurts with what I wanted to eat. For a few weeks it was anything processed, and by processed I mean...processed AF. Chef Boyardee, Easy Mac, anything quick and high in calories sounded amazing to me. Then I went into the current stage which has been fruits(berries, oranges and grapefruit specifically), veggies/ranch, certain salads, and cereal. ALL THE CEREAL. I don't currently have any aversions, other than the smell of tuna. But if something doesn't sound good to me I don't want it. I normally love tacos and Mexican and had no appetite for that for a while now. In general, I didn't do much. On average once a week. Quite frankly I was fine with it. Part of it was nerves, part of it was the fatigue....and part of it was...I've been going so hard with training for 4+ years right now that the break feels so refreshing. I know activity is good, and that it will help labor- but I'm also not going to push myself. 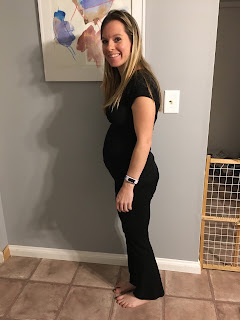 I wrote out my 1st Trimester training log over on Salty Running. It is worth noting that I did run a half marathon about a week after we found out about the baby. 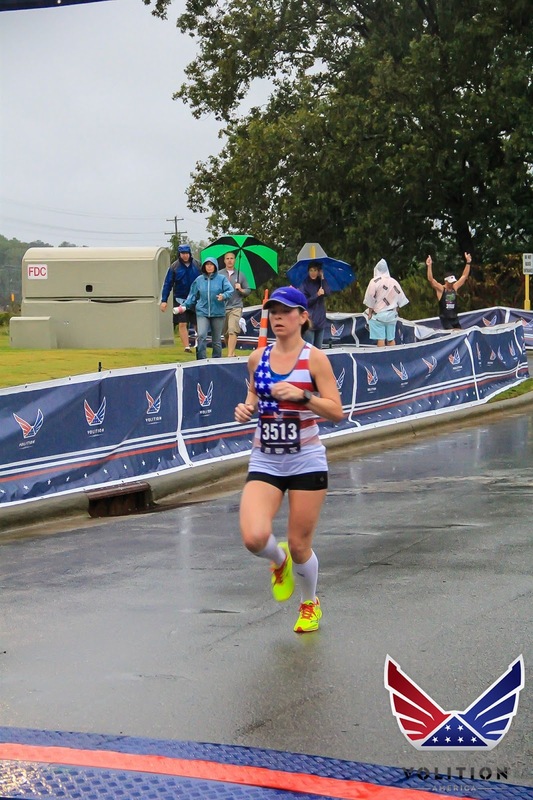 We were in North Carolina visiting family (during Hurricane Matthew) and I decided to still run the Volition America Half Marathon. It was disgusting wind and rain but could have been worse. (I really won't complain about this much....people lost their homes and lives- can we stop bitching about race weather all the time? Bad weather affects far more important things than your race). Weather + being pregnant took the pressure off and I just ran by feel and raced for place and to have fun. 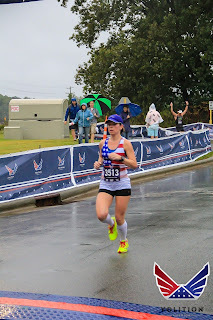 I chatted with some other runners, met some new people and generally enjoyed most of the race- I did kind of just want to be done the last few miles though. Me and baby(6 weeks) walked away with the win and a 1:29 half marathon, It wasn't effortless by any means but I was happy with it and finished with soaking wet hugs from Brian and his Aunt/Uncle who stood out there cheering for us. I can and will write an entire post on this all together. This is tough. It's scary. It takes away some of the excitement. It consumes you. BUT, its manageable. I am incredibly lucky to have a doctor who understood that and agreed we would keep a very close eye for baby sake, and my peace of mind. I went for ultrasounds at 5, 7 ,9 and 12 weeks with regular OB checkups at 8 and 10 weeks. Overkill, maybe? But when you have a maxed out deductible and a very anxious pregnant woman- you just do it. I also made a point to have some regular contact with my therapist. I have no issues talking about that, she is someone I have seen on and off for years and has helped me through some of the most trying times. Most of our sessions didn't even end up being the OMG emotional ones- if anything it was simply nice to have an unbiased person to talk to about everything in life and not just growing a baby. Beside professionals- I made sure to be in touch with close friends and family that understand where I'm at. It's not something you really get unless you've been through it. Brian and I also had to find our own ways to cope in the first few weeks- not everyone processes things the same. But at the end of the day we had each other, want the same thing and have the same fears and worries. We have amazing friends and family, and everyone has been so supportive and I cannot begin to express how that makes me feel. I went on my first Black Friday adventure ever, and came away with an amazing crib for $99. It's still in the box and hasn't been touched since we picked it up, but at least we have it. Started registries (because of timing with Holiday it was just easier to do it sooner rather than later). Spreadsheet making. I'm a nerd, this will shock no one. But this has helped me wrap my head around everything we need, and where we are getting it. We're really lucky to both have sisters who are passing a lot of things down to us from their kiddos! We shared the news! This took a little longer this time around, as we really wanted to make sure. It's such fun and exciting news and we loved being able to be open and talk and be excited with others about it. This kid is already so loved! We checked up on baby, I bought an at home Fetal Heart Monitor. Honestly this was a no-brainer investment and really helped keep me at ease during the first trimester. Not to mention, it has been fun to check in and listen to little one. I would recommend this for any pregnant woman! I've been really good about taking my Prenatal Vitamins every day- I know it's a simple thing but so important. I tried a few different ones before settling on these as the ones that I feel work best for me. I take it every night before bed with a small snack, it seems to settle better that way. I've never been good at hydrating even during marathon training. It's so important right now though, so I've been really trying! 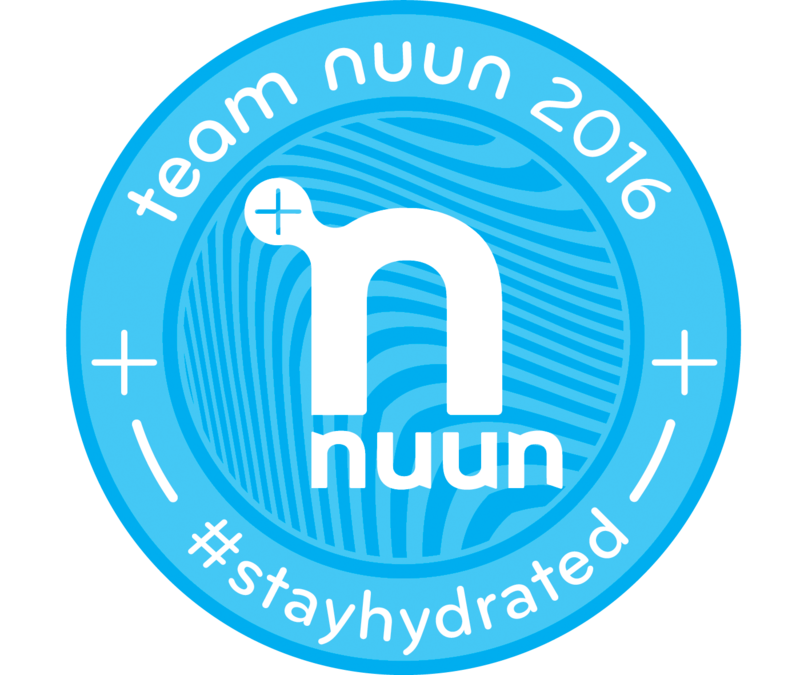 Nuun All Day has been an easy way to get me to drink more but also get some extra electrolytes to make up for what I may be missing. I rested, and relaxed A LOT. The Fire TV Stick made this way easier, and binge watched all seasons of Revenge and got through about 4 seasons of Parenthood as well. I wanted to read more but it didn't happen, I did re-read Me Before You while we traveled to Charlotte in October. I bought a bunch more kindle books to hold me over for the winter, which will definitely get me motivated to start reading more again. So that is essentially how things went for the first trimester! I feel like it flew by most of the time, and can't believe we are already 1/3 of the way there! We cannot wait to meet our little one, but know we have a lot to do in the mean time. Thank goodness my second trimester started with some fresh energy to help! So excited for you guys and to follow your journey! I'm really happy for you guys and excited to follow your journey. I love your instagram posts so far and it was cute seeing your belly with the running! Plus, I feel like your posts will be a GREAT resource for runners trying to get pregnant and when they do as well as those who have experienced pregnancy loss and anxiety. I am glad things are going well for you so far! Congratulations, again. I really admire your attitude and honesty about everything. I think that taking some time off from running will probably be really good for you in the long term. After having mono (twice) I've learned that extended breaks serve their purpose. 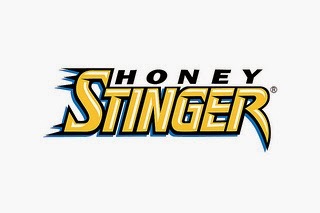 Hope everything continues to go well. I love hearing all the pregnancy details! So glad you're feeling good so far. I dealt with anxiety with #2 because of a loss in between and never felt bonded with the baby until she was born. Everyone's experience is different and there is no right/wrong. Congrats!! Love that belly of yours - you look great! I didn't run during my pregnancy much, but I did go downhill skiing in my first trimester. I'm a very adventurous skier but I took it oh so easy. It was the slowest, most boring skiing I've ever done! But it was an awesome vacation none the less. I hope your pregnancy goes well! I really liked your article. I did not know plan baby boy technique. So one of my friends had suggested me this. And After using this I got to see the impact which was really satisfying. I hope others who are facing problems like me will be helpful too.